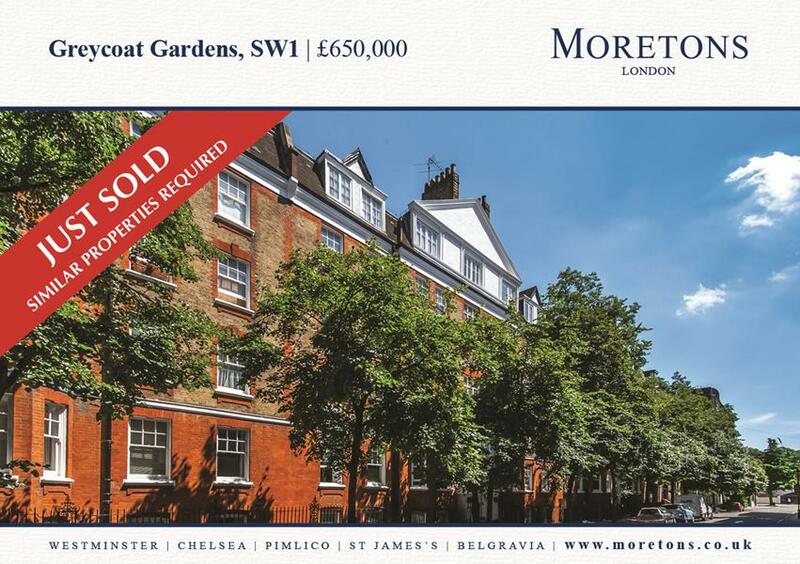 For the second year running Moretons have won the highly coveted gold award for the best agent in Westminster at the annual British Property Awards. Agents in Westminster were judged on 25 criteria including detailed analysis on how we conduct our business and interact with our clients. 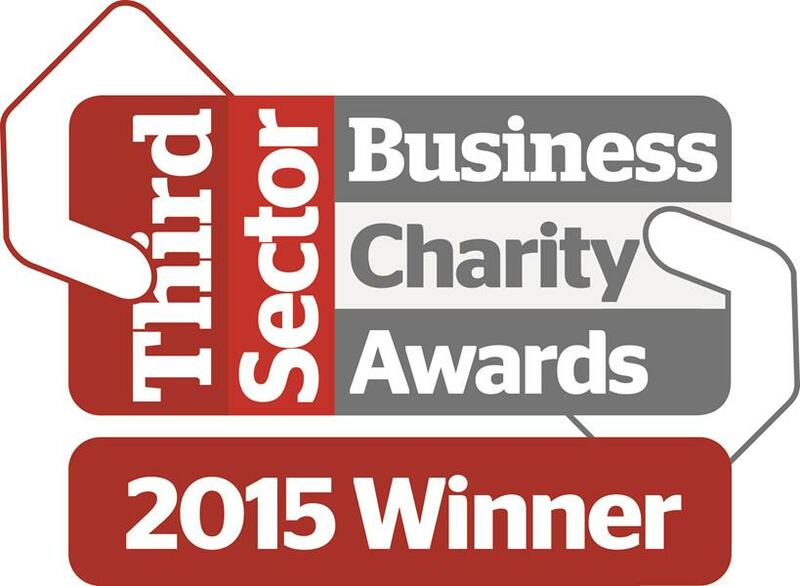 We are delighted to have won the award for the 2nd year running and have our excellent customer service, expertise and hard work acknowledged. 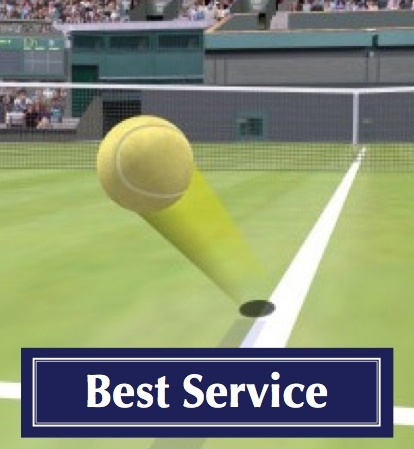 If you would like to know more about our services please do not hesitate to contact a member of our winning team. 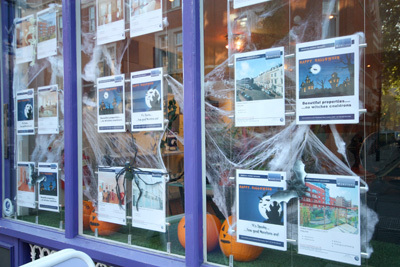 Don't be frightened, listen to what people are saying and pop in to our office in Rochester Row SW1 or call us for a free market appraisal on 020 7932 0101 if you are thinking of selling or letting any time soon. 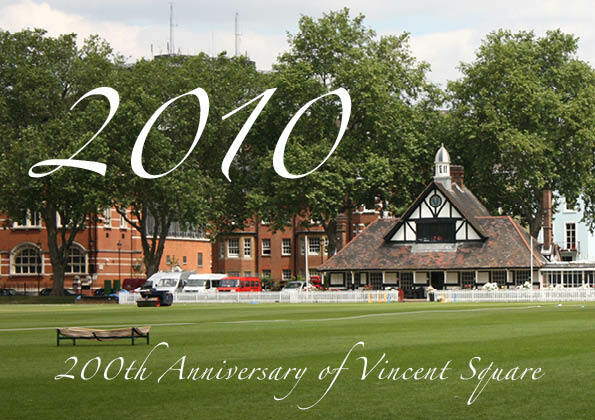 In order to commemorate the 200th Anniversary of Vincent Square, the Vincent Square Residents Association (VSRA) have commissioned a plaque of Dean William Vincent to be placed on Vincent Square. Moretons are pleased to assist in raising monies needed for this plaque by donating up to 20% of all new sales and lettings fees for VSRA members from now until 1st November 2010 to the Vincent Square Residents Association. 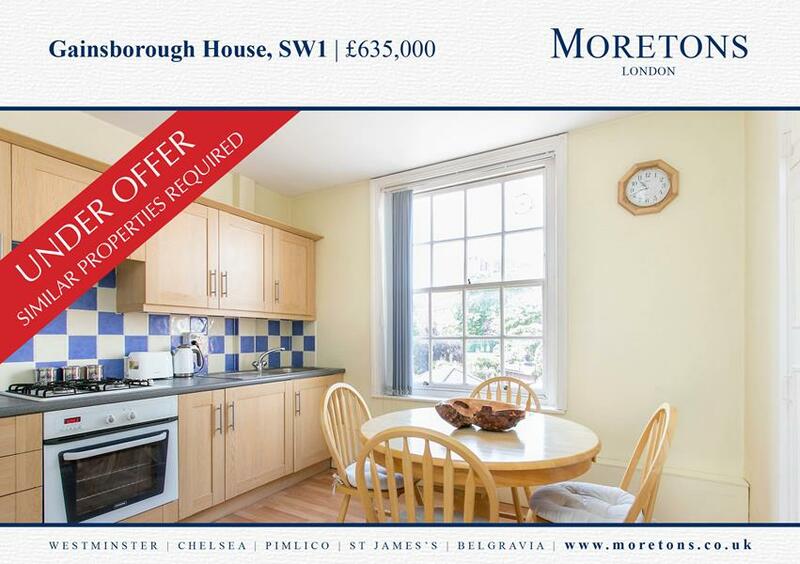 So if you are thinking of selling or letting your property and to support your local community, call us now on 020 7932 0101. 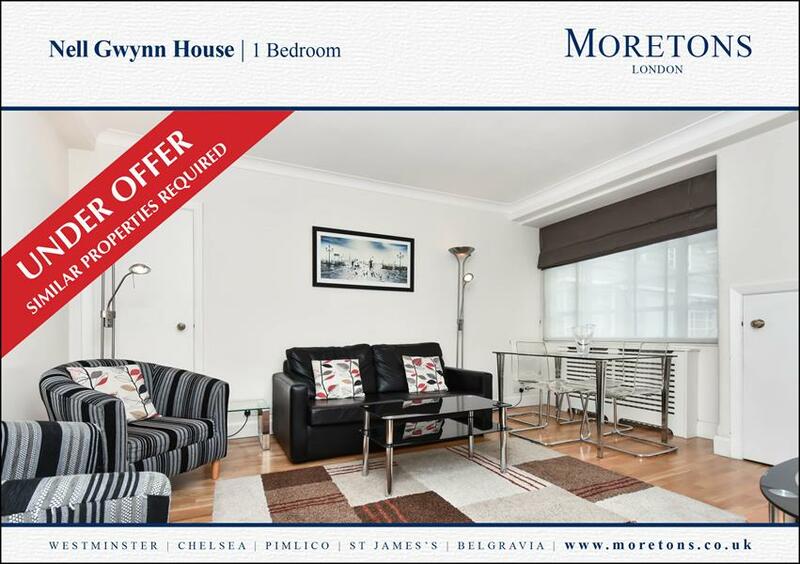 Moretons are proud to have won 'The British Property Awards' gold award for Westminster. 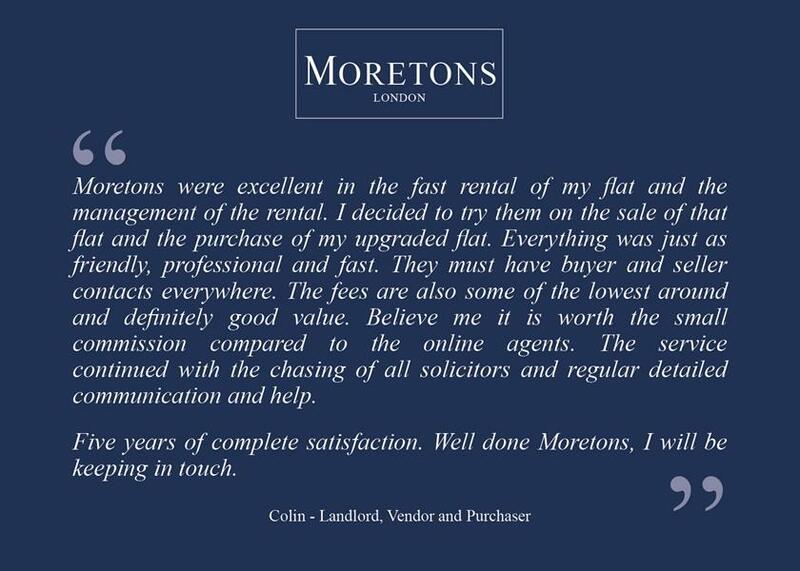 Agents in Westminster were judged on 25 criteria and we are delighted to have come out on top. 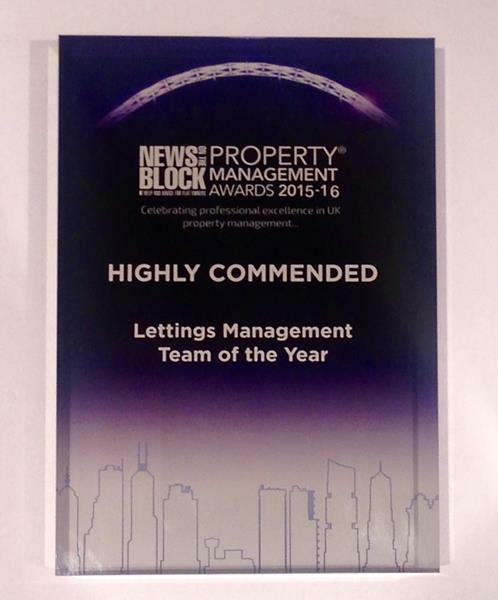 Last night at the News On The Block Awards Moretons gained industry recognition by picking up the Highly Commended award for Lettings Management Team of the year. 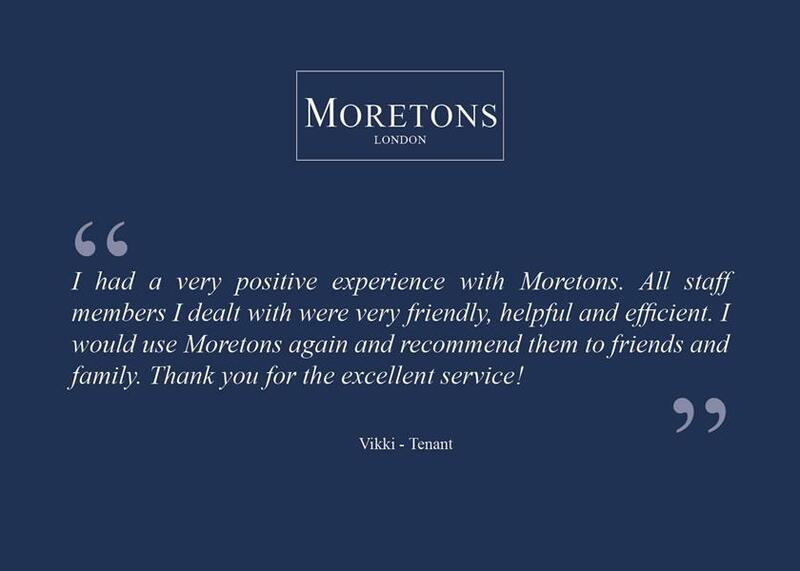 Our clients regularly tells us how excellent our team is www.moretons.co.uk/testimonials but it's nice to hear it from our peers too. To make the festive times even more fun at Moretons we decided to hold a blog competition at our Rochester Row office. The blogs would be titled A day in the life of a Moretons employee and were judged by a panel resembling the X-Factor panel. 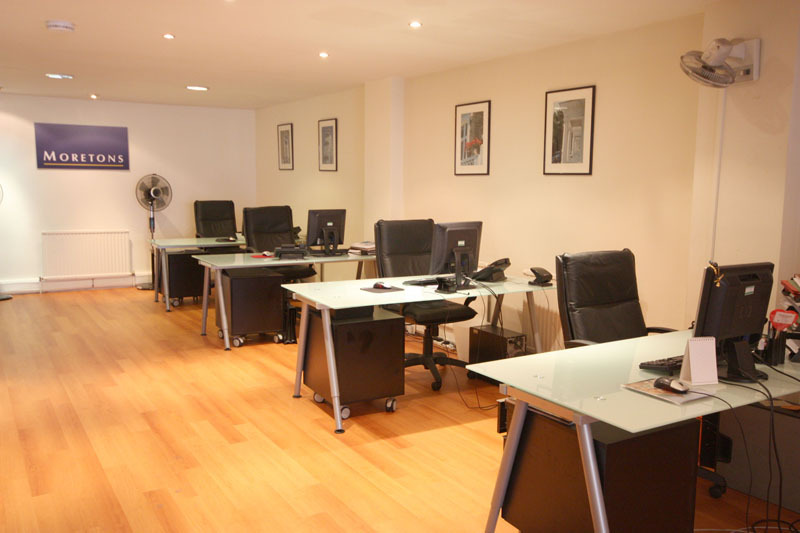 The winning blogs are as follows, please take a look and see exactly what we do here in SW1. 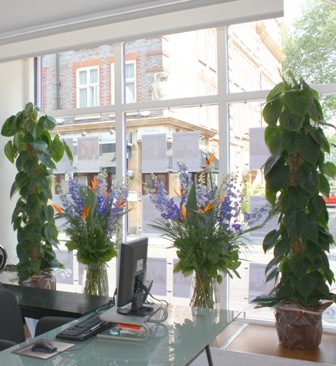 For those of you who are lucky enough to stroll along Rochester Row on a regular basis and in particular, those of you who pay attention to the superb properties for sale in our window, may have seen the wonderful array of flowers that are on display. This is of course invoked by the current occurrences at the Chelsea Flower show. The beautiful arrangements on show were provided by The Olive Branch on Warwick Way. Every few weeks Moretons will fashion our window display into a currently suitable theme so watch this (window) space. 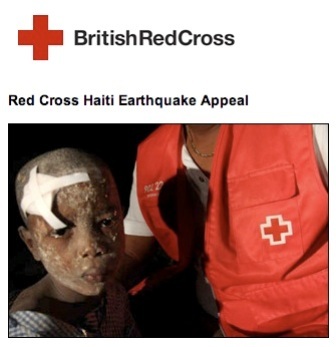 Following a week of frantic fundraising within the Crabtree Group including raffles, dress down day & a charity football match vs Seddons solicitors and many generous contributions from our contractors, clients and staff, we have raised a staggering amount of money for the unfortunate people of Haiti. 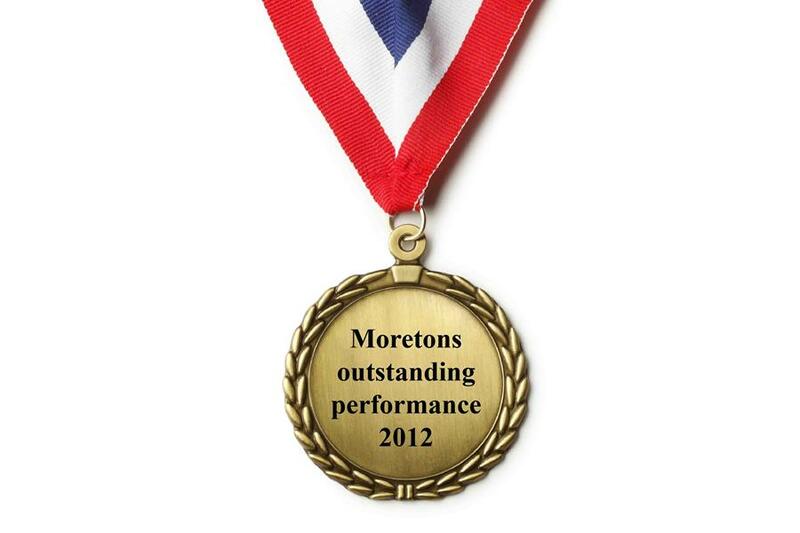 Every year Moretons gives something to charity over the festive period. We held a competition in our office on Rochester Row to decide how best to do this. 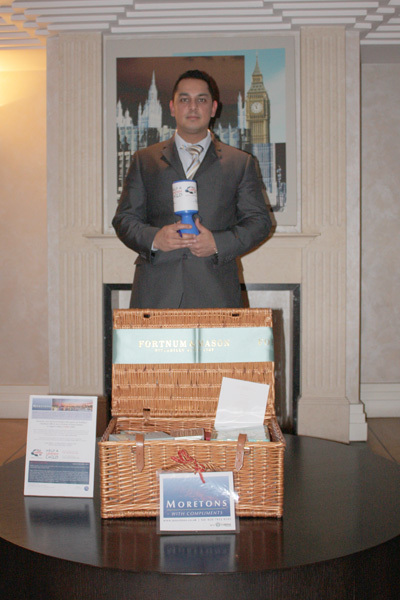 The winner came up with the idea to donate a hamper to five residential blocks in SW1. 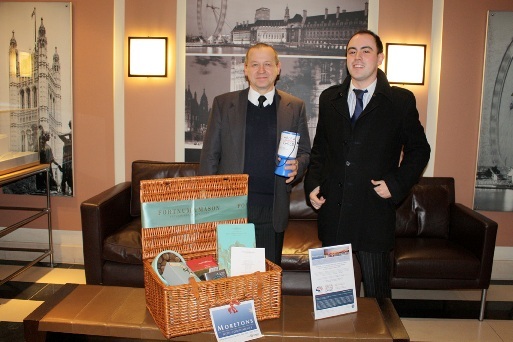 The hamper is to be raffled off to the residents with all proceeds going to our chosen charity Help a London Child. 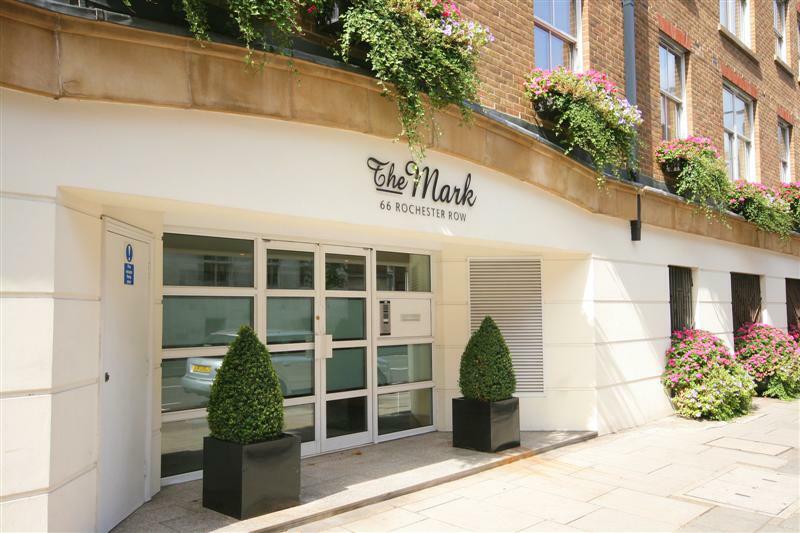 We have now delivered to our second block is SW1 which is Artillery Mansions. As you can see Alex the porter was delighted to be part of this great charity and is looking forward to selling as many tickets as possible and raising lots of money. 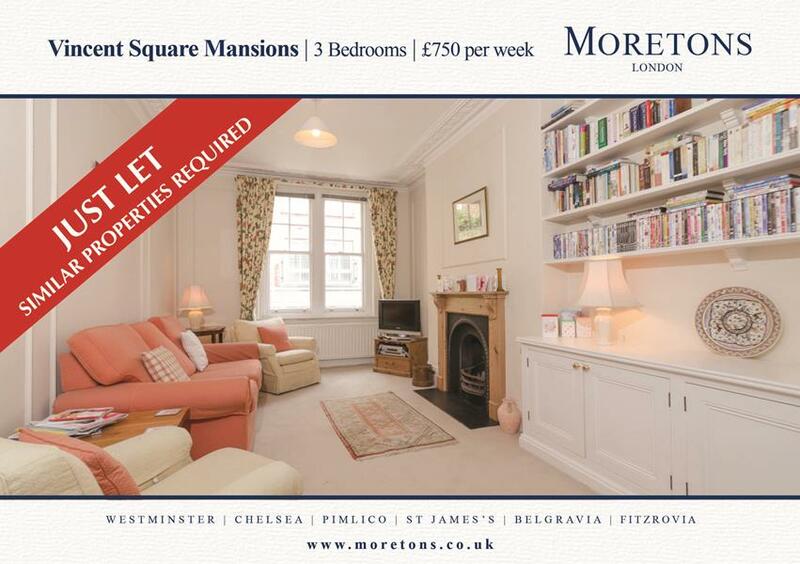 We have now delivered to our first block is SW1 which is Westminster Green. As you can see Nigel the building manager was delighted to be part of this great charity and is looking forward to selling as many tickets as possible and raising lots of money. 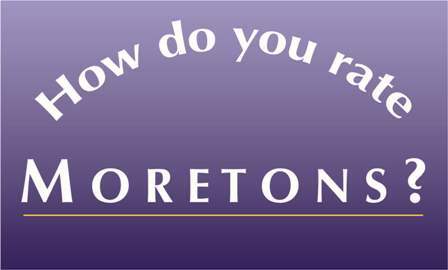 How do you rate Moretons? Continuing our search for the perfect Customer Service we are currently conducting a Survey of all our Vendors, tenants, landlords and purchasers to find out how we’re doing and see if there is anything we can do to improve our service. If you have recently used our products or services and would like to take part in our survey please click on the link below…. Recent market research shows that customers searching for property, struggle to get information quickly from Estate Agents. 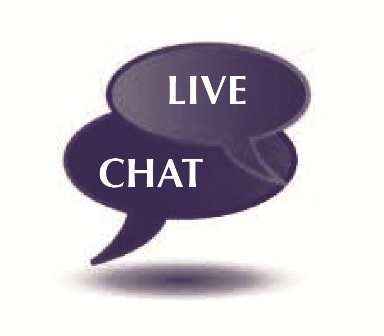 We have activated an INSTANT CHAT ICON on our site which is NOW LIVE. If you log on and have a question, you will get an INSTANT ANSWER. 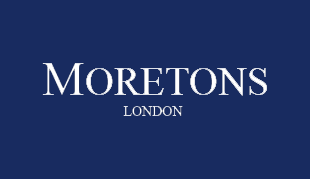 Moretons is delighted to announce our partnership with Love Digital TV. The link-up offers savings to Moretons clients and staff on all Sky TV, broadband & calls packages. To celebrate the partnership, Moretons have secured an exclusive half price Sky TV offer for 12 months. Love Digital TV are the official partners of Sky TV in London and the South of England. With over 15 years’ experience we have proudly provided over half a million customers with Sky TV. This week we will set up 5000 homes with their perfect Sky TV package and complete hundreds of phone and broadband orders. In our continued drive to look outside the box with marketing ideas we have designed and produced take-away coffee cups for our local friendly coffee shops in Westminster, St James and Pimlico. 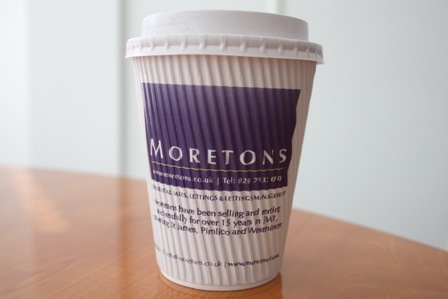 So if you are buying yourself a cup of coffee in the local area then the chances are you will be drinking out of of a Moretons coffee cup. 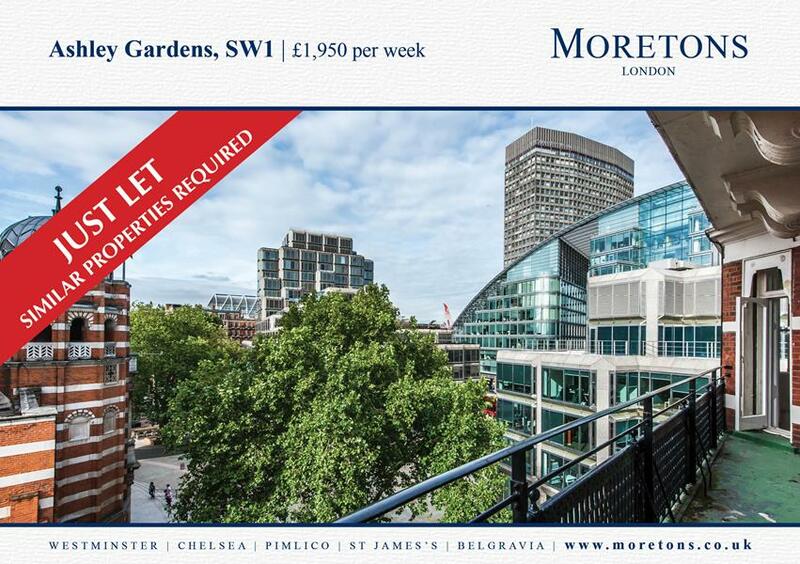 The idea behind this is to increase our exposure throughout SW1 and make sure that if you are Selling or Letting your property with Moretons then you can guarantee those tenants or purchasers will know about us and in turn your property . 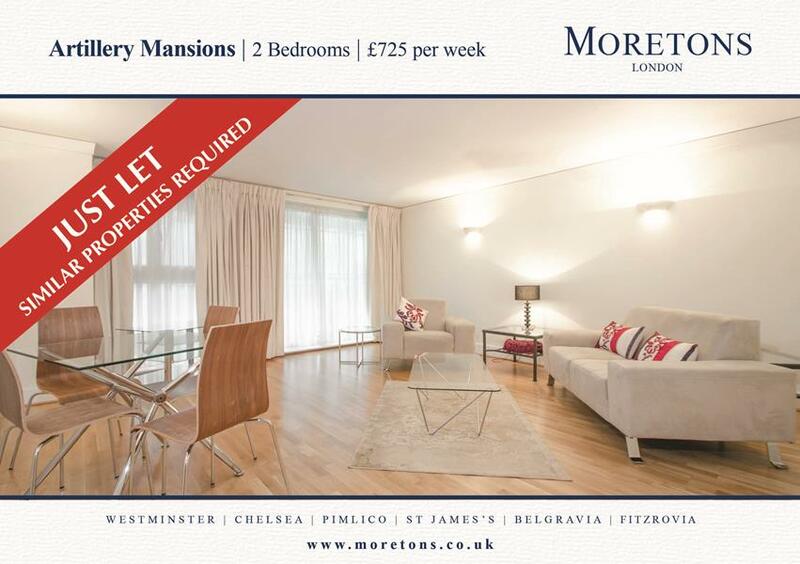 If you are thinking of Letting, Renting, Selling or purchasing make sure you contact Moretons. Moretons continue their green policy by issuing their staff with keys for the new bike hire service. 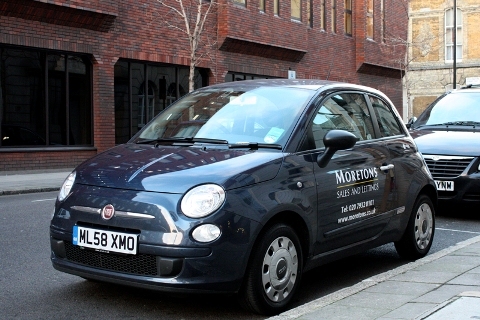 The staff at Moretons will be safely whizzing around on property visits in SW1 on the greenest transport possible. The Moretons economical car will still be used in SW1 but where possible we will be supporting the initiative and using the bikes. 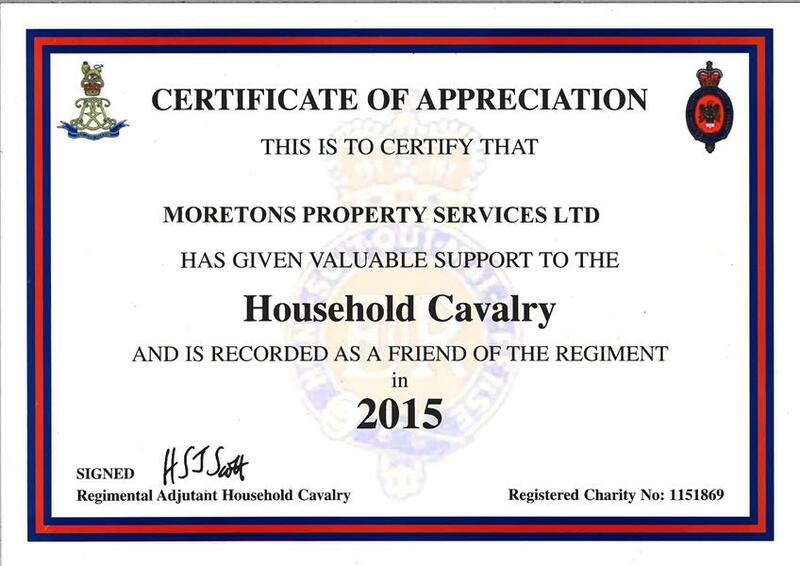 Moretons continue their support for the Household Cavalry in 2015. Moretons will again support the Household Cavalry during 2015. We are delighted to support such a worthy cause and be regarded as a friend of the regiment. 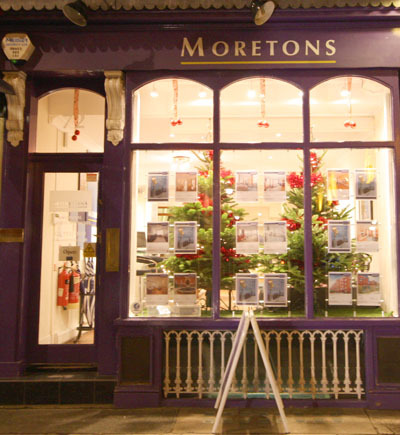 Moretons will be closed from Thursday 23rd December 2010 and will re-open on Tuesday 4th January 2011. We would like to wish you a Wonderful Christmas & a Happy Prosperous New Year. 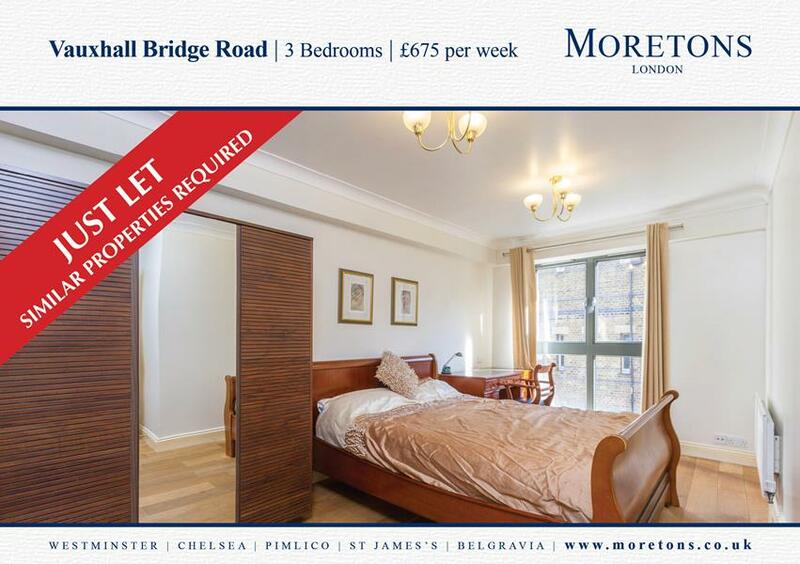 Should you need any property services, please do not hesitate to contact us on 020 7932 0101. 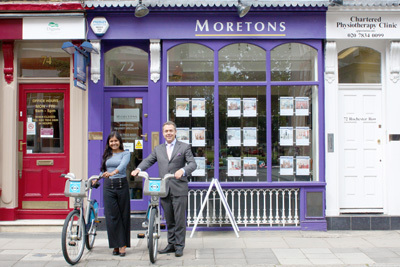 We have some very encouraging news as Moretons have become, we believe the first, Carbon Neutral estate agents in Central London! 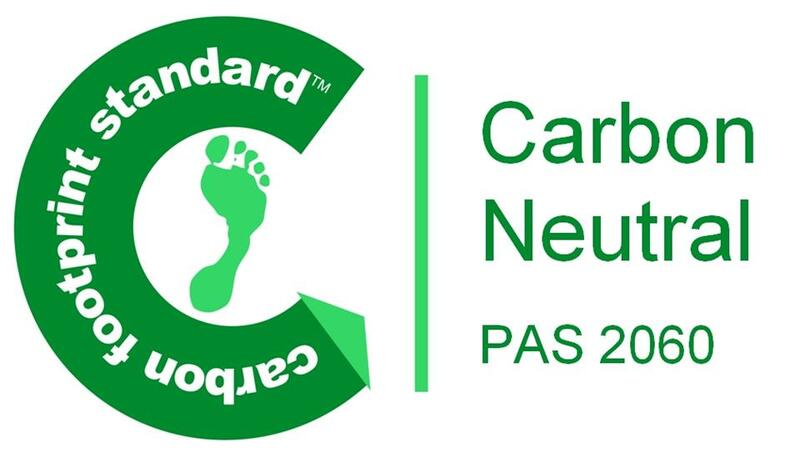 At Moretons we have been pushing for greener ways for three years now, but as well as pushing on with our strong green policy we have also become Carbon Neutral and hopefully leading the way within our Industry. Moretons is very environmentally aware and is proud to have a firm green policy. Moretons is very environmentally aware and is proud to have a firm green policy. This ranges from fair trade teas and coffees, to recycled papers, cards and loo paper. 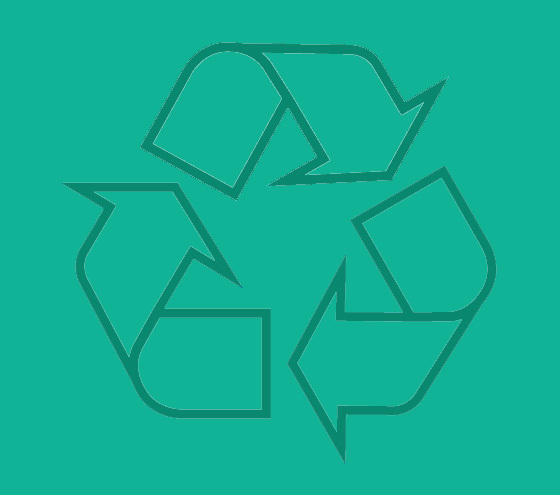 Our marketing is done with a similar methodology taking the recycled materials in consideration with all our marketing. The majority of our viewings are done on foot which allows us to converse and further learn peoples needs while saving on the over use of motor cars although when a car is used for viewing the Moretons Motor is a low emission environmentally conscious car. 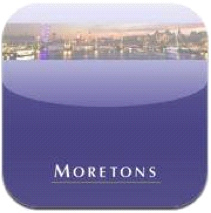 Did you know you can download the NEW Moretons App from the App store, please click here download it. 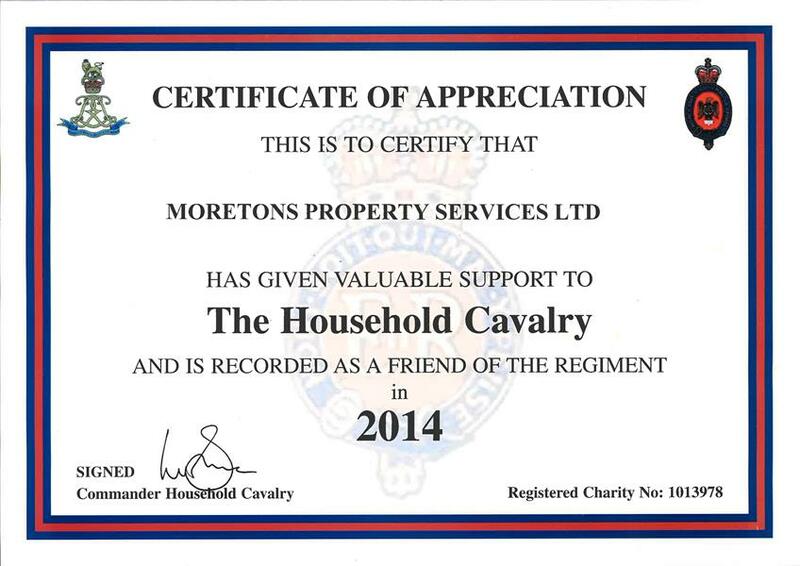 Moretons Property Services Ltd have made a donation towards The Household Cavalry and are delighted to support such a worthy cause. Moretons are now recorded as a friend of the Regiment. The Household Cavalry maintain a world-famous tradition dating back to 1660. The Household Cavalry consists of The Life Guards and The Blues and Royals. They are the oldest and most senior regiments in the British Army and are split between two different units equipped to perform two different roles. For more information, please click here. Ben Hopkinson, Moretons Managing Director, said "We are delighted to support such a great cause and proud to be associated with The Household Cavalry. The Household Cavalry have a rich history and tradition and it’s an honour to be associated with them." 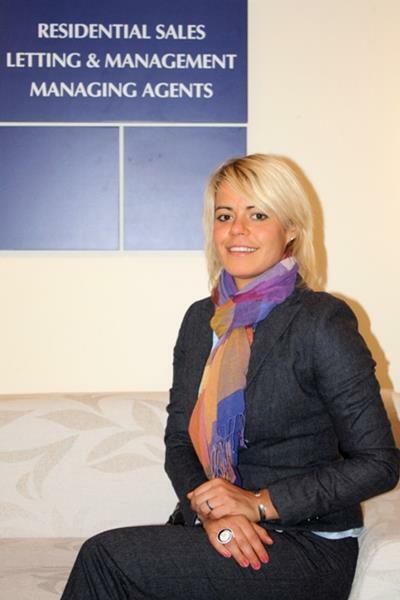 Moretons have been shortlisted in the ‘Lettings Management Team of the Year’ category at the News on the Block awards. We are delighted to have been nominated for this award in recognition of our continued commitment to customer service and client focus. The awards evening will take place on Thursday 4th December 2014. This year has seen the introduction of a voting process to assist the 3 judges when selecting the winner in each category. 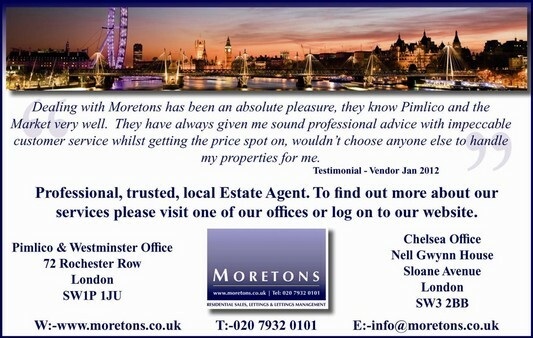 To vote for Moretons please visit http://www.propertymanagementawards.co.uk/ and follow the on-screen instructions. We will announce the results as soon as possible. Watch this space. 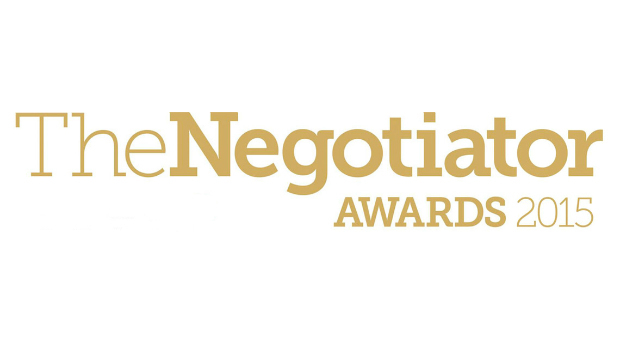 Moretons have been shortlisted in 2 categories ahead of the 2015 Negotiator Awards. As a forward-thinking, innovative company, we are delighted to be shortlisted in the Innovator of the Year field. 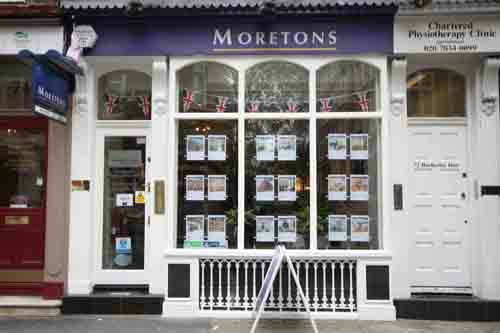 Moretons have also been listed among the finalists in the Small Lettings Agency of the Year (1-3 branches) category. The ceremony takes place on 3rd November 2015 at the London Hilton on Park Lane and will be hosted by TV impressionist and comedian, Alistair McGowan. On the 25th of July 9 walkers, 4 support crew and two mini vans will attempt to complete the 2009 British Red Cross Three Peaks Challenge which requires the walkers to climb and descend the highest mountains in Scotland, England and Wales in 24 hours. We are taking part in an organised event, with a number of other teams, in order to raise much needed funding for the British Red Cross. Our challenge will begin at 4.10 pm on Saturday 25th July at the bottom of Ben Nevis and will hopefully end at the bottom of Mount Snowdon before 4.10 on Sunday afternoon. Between Scotland and Wales we will be stopping off in the Lake District to climb the notorious Scafell Pike. 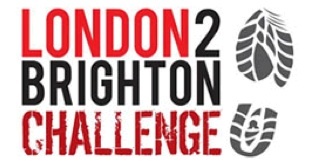 This is a tough physical challenge which requires a great deal of preparation and training for all those taking part. 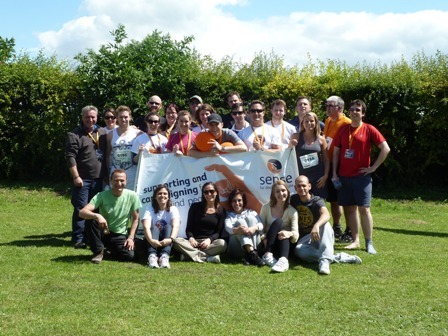 There is a huge amount of organisational and fundraising work required and although there are only 9 walkers and 4 support crew there are many, many others currently involved in promoting our challenge and actively fundraising. The walkers are: Ben Hopkinson, Riaan Kruger, Tom Lewis, Magda Sztukowska, Donna Cairns, Patrick Conlon, John Ward, David Goldberg and Robert Robertson. The support crew are: Elaine Thatcher, Bella Mutevelian, James Adamson and Chris Henman. It is the job of the support crew to get the walkers to the bottom of all three mountains in the quickest possible time (and to bring them home again) and to ensure they are properly kitted out and sustained for the three climbs. We will attempt the challenge in two teams with representatives from Moretons and our sister company Crabtree Property Management Limited. We intend to keep all interested parties updated, throughout the challenge via our blog (more details later). 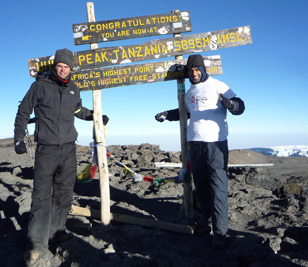 In 2008 a team from Crabtree attempted this challenge but only managed to complete two of the three mountains due to injuries. This experience combined with the enthusiasm of the Moretons participants will hopefully see the completion of the challenge this year. 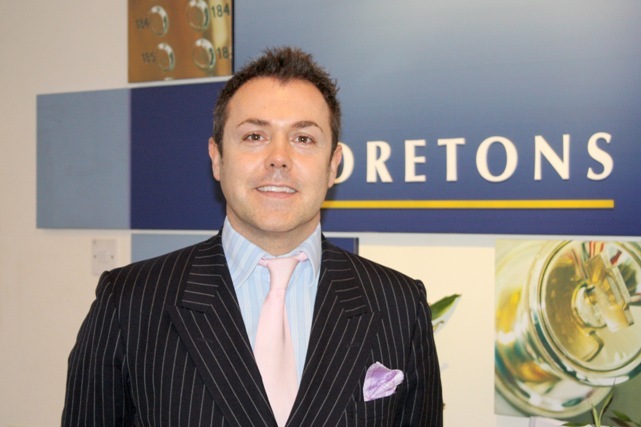 Moretons have recently become fully bonded members of the National Association of Estate Agents (NAEA). This means we are now members of Property Ombudsman - Sales & Lettings, Arla, Property Guild and FCA. At Moretons we believe it is important for Estate Agents to belong to a re-dress scheme and governing bodies, which is why we have taken the opportunity to add the NAEA. 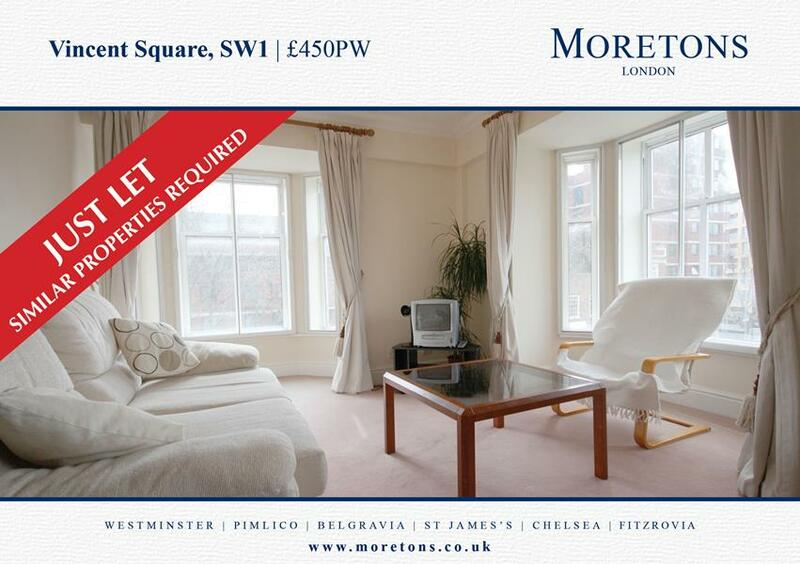 Moretons have recently let one bedroom apartment at 56 Vincent Square, SW1. 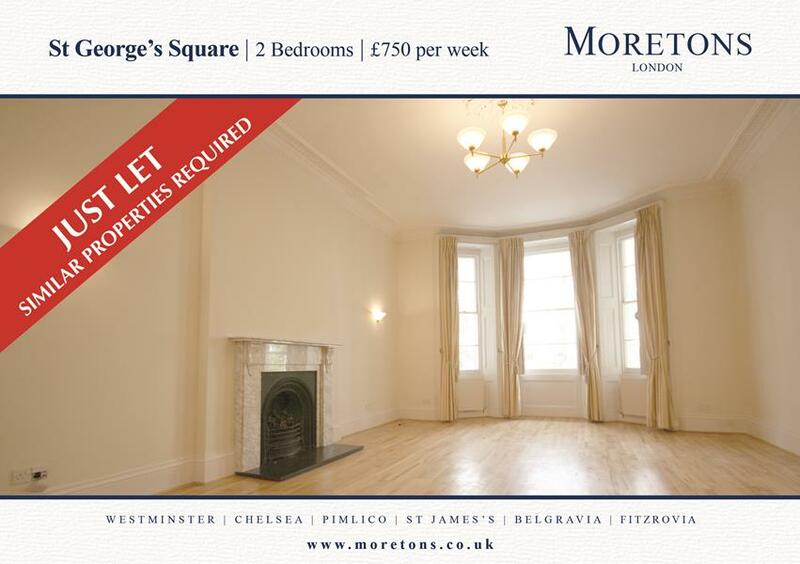 If you are considering letting your property in SW1 or the surrounding area, please do not hesitate to contact us. 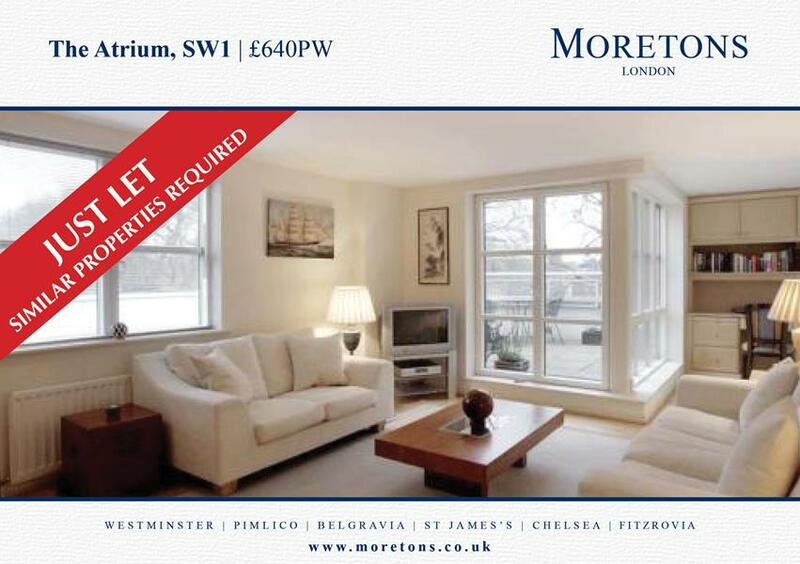 Moretons have recently let this stunning two bedroom apartment in The Atrium, SW1. 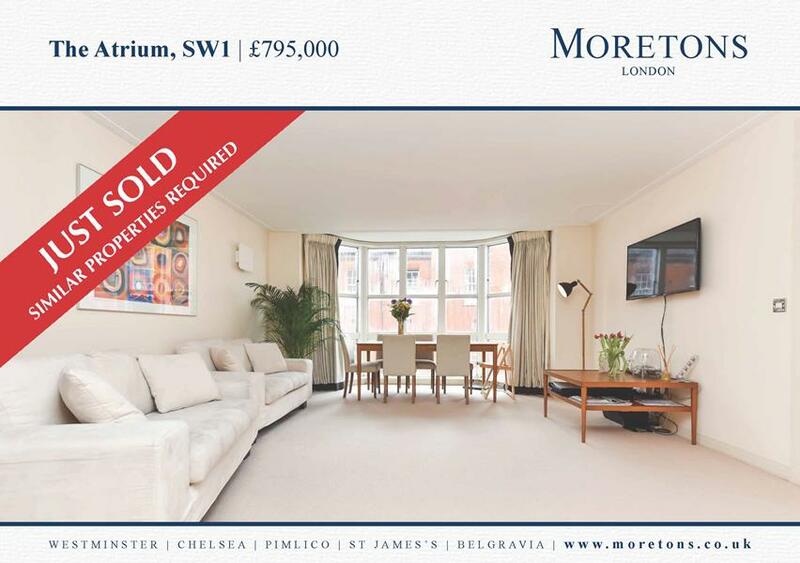 If you are considering letting your property in The Atrium or surrounding area, please do not hesitate to contact us. George Osborne has announced a fairer stamp duty system replacing what he labelled ‘badly designed’ rules, claiming 98% of buyers would pay less under the new scheme. Stamp duty land tax has to be paid on most purchases of houses, flats and other land and buildings. 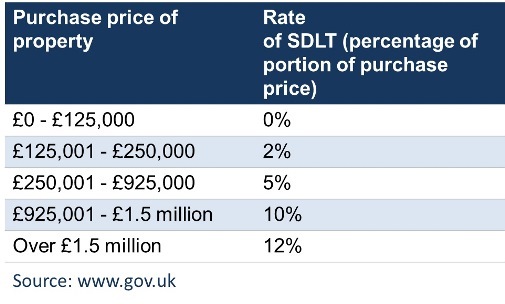 Buyers pay a fixed percentage on the previous price based on the figures within the attached table. These changes are effective from Thursday 4th December 2014. 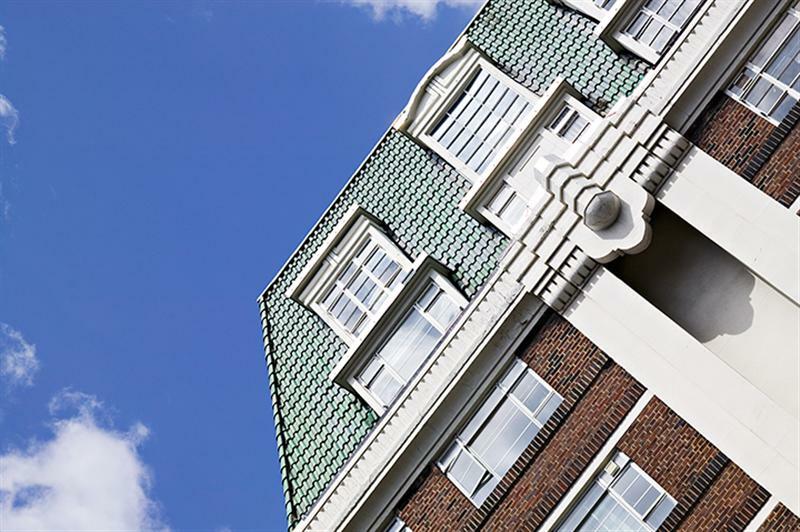 These changes do not mean there is a sudden hike in stamp duty as you pay the difference between thresholds. 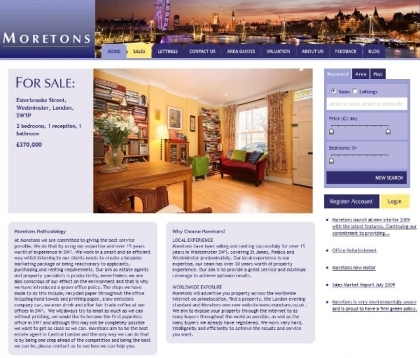 However, there will be higher costs on any property transaction over £937,000. 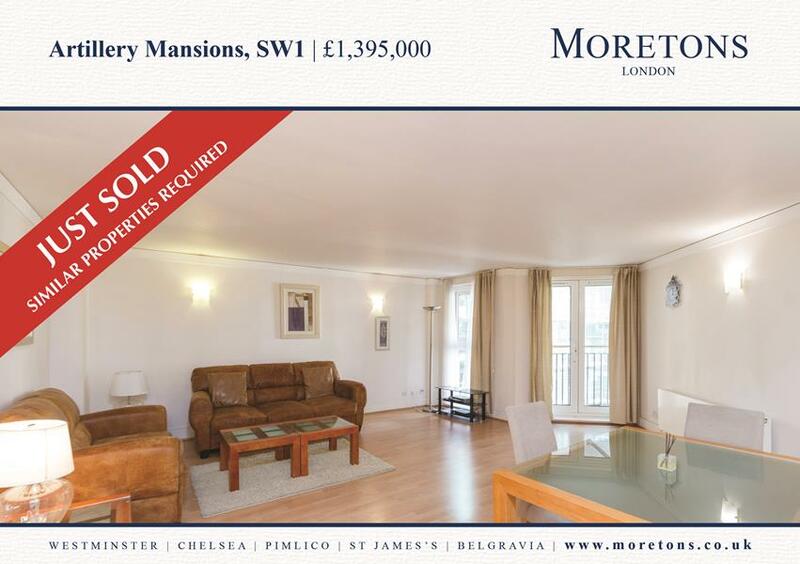 With a significant amount of transactions in Central London being over £937,000 we will have to wait and see what effect this has on the Central London market. The Reverend Phillip Welsh from St. Stephen with St. John Westminster has written to Moretons to Thank everyone involved (staff and clients) for their Harvest gift contributions. The boxes of goods were presented at the service and the Salvation Army hostel in Great Peter Street is very appreciative of the support. Brave members of the Crabtree Group (The Crabtree Crawlers) are embarking on a 62 mile walk from London to Brighton which takes place on 25th-26th May 2013 raising money for The North London Hospice. Training programmes have already begun and the 16 strong team, along with the dependable 5 person support team, are psyching themselves up for the gruelling challenge that lies ahead. The mixed group contains experienced campaigners who are accustomed to a blister or 2 along with complete novices whose sheer enthusiasm possibly outweighs judgement! 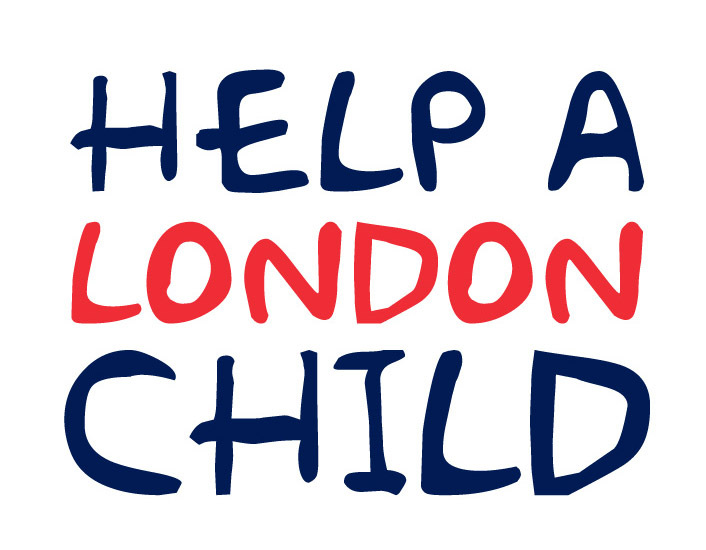 The team are raising money for a local cause in the form of The North London Hospice. The North London Hospice is a charity who help people to live with potentially life-limiting illnesses providing emotional, spiritual and practical support to them, their families, friends and carers. The North London Hospice believe that everyone living in the London Boroughs of Barnet, Enfield and Haringey should receive palliative care required to minimise their symptoms, maximise their quality of life and to live and die with dignity in the surroundings of their choice. The charity also supports patients relatives, friends and carers allowing them to cope with any difficulties arising from the illness and to recover and rebuild their lives afterwards. Please visit www.northlondonhospice.org/ for additional information. We found all the Elephants………now let us find a property for you! Moretons have been following the Elephant Parade around Central London. 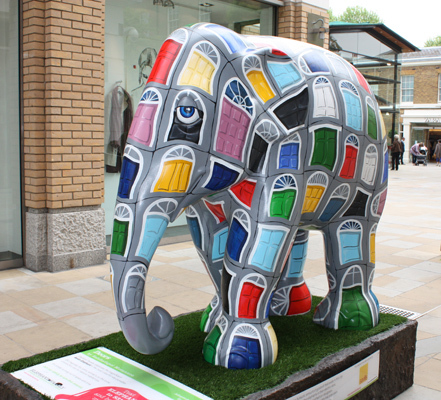 The Elephant Parade is a conservation campaign that shines a multi-coloured spotlight on the urgent crisis faced by the endangered Asian elephant. See over 250 brightly painted life-size elephants located over central London this summer. Each decorated by a different artist or celebrity, the elephants brighten and beautify the city, enhancing every park, street corner and building they grace. Running from May to July 2010, this is London’s biggest outdoor art event on record. See the Elephant Parade herd at the official viewing days at the Royal Hospital Chelsea on the 25th, 26th and 28th June. From 10am to 7pm admission is free and open to the public. Visit www.elephantparadelondon.org for more information. 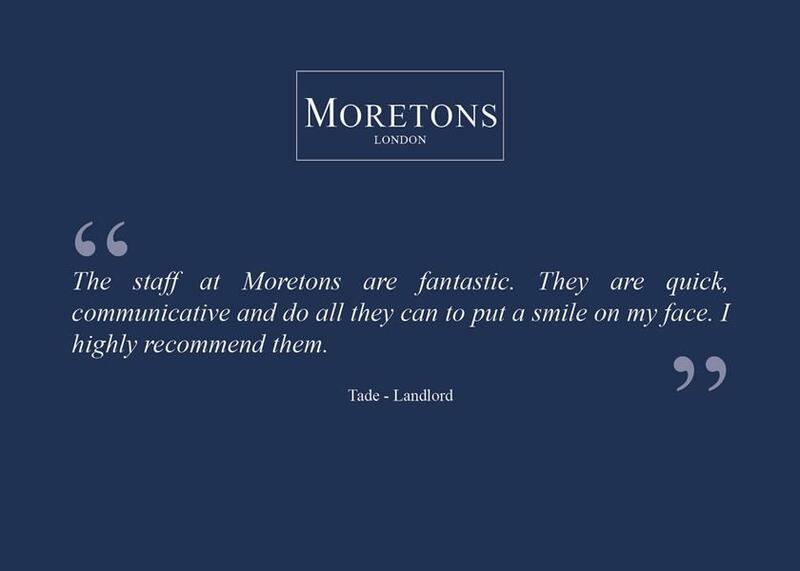 .......Here at the new Moretons we take enormous pride in providing the 'best service' possible for all our clients. 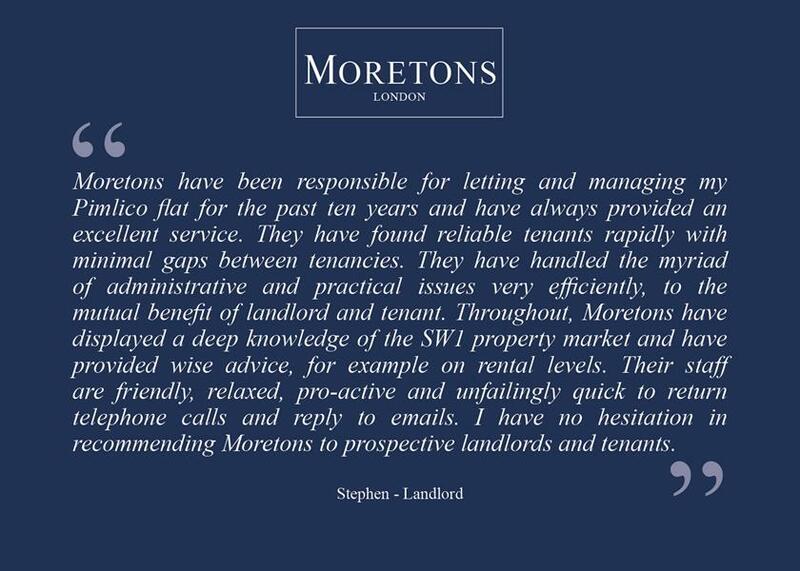 To our vendors and landlord's we achieve optimum and often record prices with regular feedback and updates; to our applicants we listen to all their needs and try to find their perfect match. 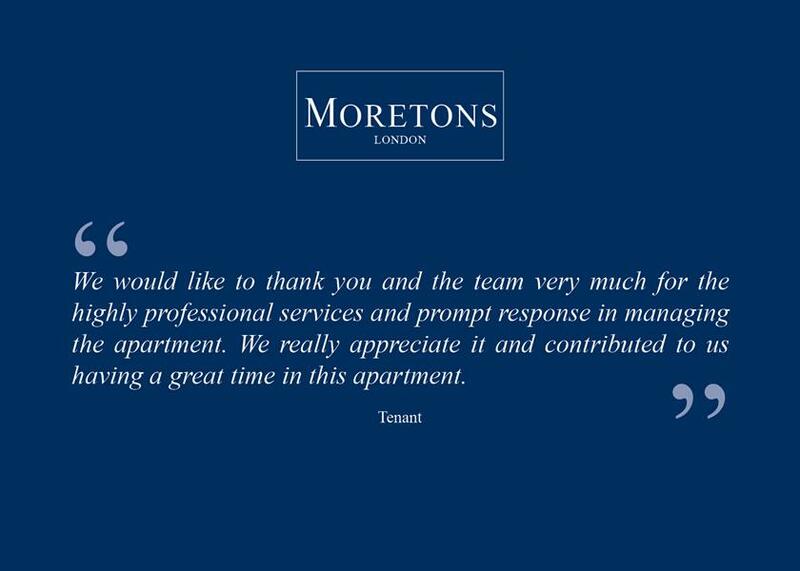 For 'total professionalism' and the 'best service' to all who embrace the Moretons experience, don't settle for less call us now on 020 7932 0101. 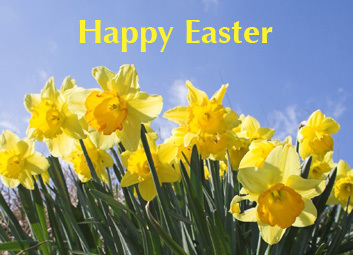 Although Easter is without doubt the busiest time of the year in sales and also extremely busy for lettings, we want to take time out to wish all our clients and friends a very Happy Easter! If there is anything we can do to help with your property, come to us, as your local agent we can offer a broad range of top professional property services.